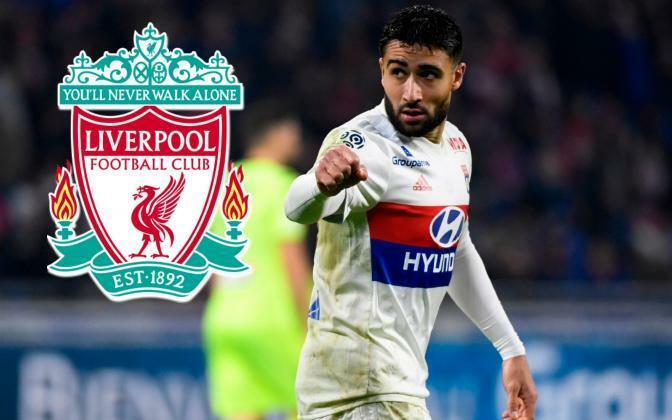 Liverpool have been tipped to resurrect a deal for Nabil Fekir following the collapse of negotiations prior to the World Cup. The Lyon captain had been expected to seal a move to Anfield after the agreement of personal terms and a £53million fee. A delayed unveiling materialised into a break down in talks as a result of concerns raised over an underlying knee issue detected in his medical. This appeared to relate to Fekir’s lengthy injury layoff over the 2015/2016 campaign, although the playmaker himself has since dismissed fears over his fitness. Recent reports have offered hope that a deal could be revived when Fekir returns home from Russia – with French football expert Jonathan Johnson emerging as the latest advocate of that belief. Despite being known as a notoriously touch negotiator, Lyon president Aulas has been surprisingly open about the strong possibility of the two clubs re-entering talks. For him to admit this after initially expressing his joy over the prospect of Fekir staying put suggests there may well have been further contact. It bares the makings of a deal Liverpool remain in full control of having already reached a previous agreement with a Lyon evidently open to selling.